This book takes the reader on an adventure with the great outdoors as a backdrop and a burgeoning supporting cast of characters from across the country, seen through the eyes of the author and his partner, through filter of life experience and a stark spirituality that eschews the written page to draw you in as if you were actually there to experience the stark joys, the near-crippling fears and aggravating frustrations. The author explores the pitfalls and joys of life on the road with charming honesty that it reads less like a book and more like a great evening with friends and the slide show of their latest great adventure. Yes, I know that last sentence, seriously tells my age, however it is with fond warmness that I recall many evenings in my childhood spent in just such a way. At the end of the book the Mr. Rosch includes his ‘information guide’ to owning, buying and running an RV, complete with anecdotes. If you are contemplating such a life changing journey of your own and the preceding book hadn’t kept your attention then a read through the appendix will probably convince you that this life is doable. 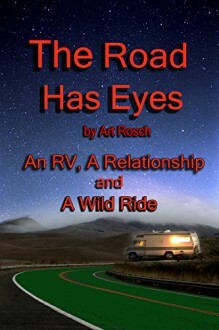 All in all I have to say this was a seriously enjoyable, not-to-be-put-down kind of read and I am glad to have had the chance to gain some insight into the RV travel lifestyle and learn more about this author. This book was well worth the price of purchase. Remy Galway plans to buy the old long island home as a sign of her Independence after a long recovery from her bitter divorce. With her parents support she has slowly rebuilt her life and opened her own business. Now she is ready for her and her daughter to stand on their own. What she doesn’t know is that her home is haunted by a crusty whaling captain who is not amused by two females moving into his house, changing things. It doesn’t help that Olivia seems to be able to see him and isn’t at all frightened. His childish attempts to get them to leave is lost in the mystery of bad luck seemingly following Remy. Her home and business are vandalized and her car is run off the road. She doesn’t see any connection, however she can’t shake the feeling that someone is watching her and when she begins to receive phone calls that don’t show up on her cell phone history she begins to doubt herself. Luckily Hugh, a friend of her mother’s, is there to help see her through the trouble. I received a copy of this book in exchange for an honest written review. Right-Hearted: Finding What is Right with a Wrong-Sided Heart is the raw emotional experience of teen boy who finds a similar soul in the last place he expects. 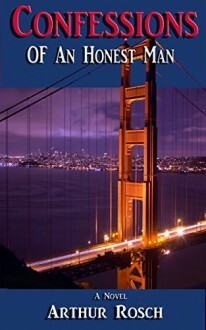 The book is free on Smashwords and Amazon. Once again, I stood alone on a hill under a full moon. The moon drifted peacefully upward into the sky. Besides my thoughts and the slightly chilling breeze, nothing was tangible to me in that moment. Anything life-changing, beautiful, or unpredictable happen today? Nothing. In the sixteen years I have experienced so far, each time I have noticed a full moon something life-altering has happened. The moon rested right above the mountains, a place I call home. When I tried to take a picture, my camera was unable to capture the image. Should have known you can’t depend on technology to capture beauty and emotion. The scar on my chest, the beating of my heart, and the mountains that fostered my appreciation for the cold, hard, natural world— these were the few things that mattered. Standing before the sky, I had little idea my next two weeks would be overwhelmed with wild love, lust, confusion, and tears. Wallock, Daniel (2014-05-14). Right-Hearted: Finding What’s Right With a Wrong-Sided Heart (pp. 1-2). This Very Breath Publishing. Kindle Edition. .
Right-Hearted is a wonder. Daniel Wallock captures the pain and beauty of adolescence, of first love, of encountering death too young, but surviving. His maturity is astounding. I cannot wait to see what this talented young writer does next. In the vein of the seminal debut memoirs of Jim Carroll and Tobias Wolff, Right-Hearted is an intensely visceral and deeply sincere account of the physical and emotional struggles of a nascent writer transitioning from adolescence to young adulthood. Wallock’s life story is innately compelling—against all odds, he survived a slew of surgeries for multiple congenital heart conditions—but it is his unique voice that makes Right-Hearted such an impressive debut. Wallock’s authorial voice contains all of the hallmarks of a visionary poet, especially his vivid descriptions of transcendent experiences in the natural world. And his story is grounded in the solid themes of life transitions, the loss of the innocence of youth, spiritual transformation, and the role of trauma in shaping our worldviews. The underlying question, which Wallock addresses with nuance and maturity, revolves around whether it is possible to maintain a sense of excitement and wonder about the world after experiencing life-altering trauma. This memoir makes a solid case for remaining optimistic. —Jamie Mason, New York Times Best Seller & Library Journal Best Book of 2013. 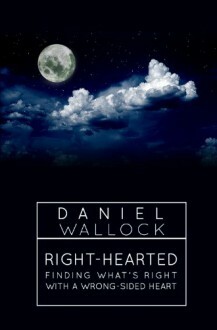 Daniel Wallock’s book Right-Hearted is a trip down memory lane to the heady, passionate days of first love. But Wallock writes of it while the freshness and frustration of the awkward encounters are still damp with sweat. He is Holden Caulfield, if Salinger had written Catcher In the Rye while he was still living it. —Dwier Brown, actor and author of If You Build It. ‘Hi, my name’s Daniel. I’m learning social skills!’ I wish we were all this brave. Daniel is open handed with his latest offering – Right-Hearted, giving us glimpses of his beating heart in a style… that only Daniel can pull off. Please keep writing, Daniel! From Goodreads: Right-Hearted: Finding What’s Right With A Wrong Sided Heart, is a short memoir about my life-threatening heart conditions and an unforgettable girl. I was born with a broken heart. Literally. My heart is on the right side instead of the left. I was also born with 6 other random congenital heart defects, which have demanded that I undergo dangerous open-heart surgeries since my birth 16 years ago. After my last operation 3 years ago, at barely 14, I was sent away to live so that I would not kill myself. I spent 2 years learning to accept my heart conditions and learning to appreciate my beating heart. The blurry ambulance rides, countless surgeries, metal machines and two years in a Montana therapy school have all contributed to the unique teenager I am today. I never knew anybody who completely understood my unique struggles until that night under the full moon. Standing before the sky I had little idea my next two weeks would be overwhelmed with wild love, lust, confusion, tears and a beautiful girl. She and I would share the stories of our hearts…our right-sided hearts. Right-Hearted: Finding What’s Right With A Wrong Sided Heart is the story of two lustful teenagers who together confront their life-threatening conditions and learn to embrace their broken hearts. Born with several congenital heart defects including having his heart on the right side of his chest, Daniel Wallock never thought he’d find somebody who’d understand all he’d been through in his 16 years… until a whirlwind two-week romance opened his eyes. This memoir from this Santa Barbara resident will touch your heart. There is a beautiful duality in Daniel Wallock’s writing: On one hand, a delicate teenage heart rupturing with new experience; on the other, a heart born broken that refuses to quit. Here is a voice, and story, you will remember. Right-Hearted’ is a 16-year-old’s account of something between falling in love and becoming deeply infatuated. The charms of this essay go beyond the articulate and eloquent telling of a misguided infatuation. The voice is earnest and authentic and what comes through is a respectful regard for the sometimes crushing nature of giving and receiving love. Life can feel looming and unresolved, but in the hands of a good writer it’s also inspiring. Wallock’s poetry is elliptical in nature, incorporating both a soft, steady pace and a great economy of words. His thoughtful writing conjures images and emotions that are not soon forgotten. Daniel Wallock is a college student living in New York and the author of three books, which have been downloaded over 20,000 times across 25 countries. His poetry and prose have appeared in 20 publications including Burningword, Wild Quarterly, ExFic, The Vending Machine Press, Agave Magazine, VAYAVYA Poetry, Whistling Shade Journal, and The Bolt Magazine. Daniel has received numerous writing awards including 1st place in San Jose State University’s Nonfiction Short Story Contest. In addition to pursing a literary career Daniel spends time speaking for nonprofit organizations, doing marketing and media consulting, and designing websites. The Spider Jockey Academy Series follows Boris. 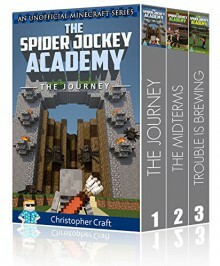 A human teen who has had a dream that leads him into the Minecraft world to find his way the the Spider Jockey Academy. Humans in general are not trusted by the mobs of Minecraft and though he makes some friends, most of the other students and some of his teachers are openly hostile to him being there. 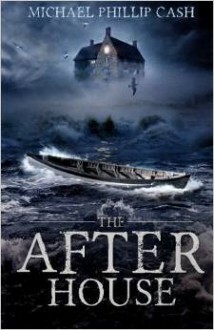 Book 1- Covers his entry into the academy and his introduction to the faculty and student body. He immediately gets off on the wrong foot with history Professor Nitroe, who is intent on blaming Boris for every wrong a human has committed since the beginning of time. Also he has some runs-ins with upper-classmen Saul Sage, the zombie pigman who is the academy’s best jockey. Boris tries to keep his down and get through his classes best he can. Book 2- Covers year one midterms to the end of the school year. Boris[ is still dealing with hostile elements in the school and trying to navigate his way through tests that are pass or die in some cases. Book 3- Boris has made it to his sophomore year and though he no longer has to deal with open hostility, he knows he isn’t trusted by most everyone. Also his best friend is acting bizarrely and he is sure that he is somehow the reason. The entire series so far has been a fun adventure that fits nicely in the Minecraft genre. Though it is unofficial fan fiction, most players will enjoy seeing the mobs as something more than game play and will enjoy learning a bit the history and heroes of this story. The illustrations are pure minecraft and there are plenty of spell and weapon lore to satisfy any young minecraft fan. As a mom who spends hours a week with MC going on somewhere around me, I can say that it has made it a bit more enjoyable for me as well. I think the rest of the series, when it comes out will be just a fun. What I like about these books, and many of the other books by this author, is the built in impetuous for kids to read. We have all seen our crafting kids with their noses buried in the latest you tube tutorials, saves and play-alongs. While I will admit to the possible educational value in some of those, it is very nice to see the screen off and a nose buried in a book instead. Win-Win for kids and their parents/educators. Only the strong survive. Do you have what it takes to make it through the Academy? Deep within the mountains, legends tell of a mystical place where young men and women are trained in the mystical art of spider riding. At the Academy, these brave few are pushed to their physical and mental limits in their pursuit of becoming a spider jockey. It is here that the brave are set apart from the weak, and only the strong survive.Join Boris, our fearless hero, who defies all odds when he is accepted to the Academy as the first, and only, human student to ever attend. In his quest to become a legendary spider jockey, Boris must rely on his wits, strength, and his indomitable spirit to succeed, as he dodges every obstacle that comes his way. Between difficult professors, bullies, and unimaginable odds, Boris must fight for every inch it takes to achieve his dream and reach his full potential. Will he have the stamina to do it? Can he really rise to the occasion and become an apt and able spider rider? Christopher Craft loves gaming! He has played a ton of games. He loves letting his imagination run wild when he is building in Minecraft or defending against attacks in Clash of Clans. He holds nothing back when gaming, just like in his adventures! So come along and immerse yourself in epic quests that will take you into realms only ever imagined. All these amazing stories came to life through Christopher’s dreams. From Minecraft to Clash… from Angry Birds to League… there are no limits to his dreams or his imagination! The Obsidian Knights Adventure Series takes you on a fantastical journey filled with Intergalactic Dragons… Knights from an Ancient Order… Worlds formed before the foundations of time… The universe you know is not all that there is, as you will soon discover! Minecraft Fan Fiction Parodies are one of his favorites! He has always wondered what they might try and tell us if they could. So come along and venture into galaxies and alternate game realities.